If you’ve always dreamed of playing as a cardboard box? Well, sit tight, because that chance is coming later this year when Unbox: Newbie’s Adventure comes to the Nintendo Switch. This 3D platformer looks bright and vibrant with colorful graphics. You’ll explore a wide range of zones with different environments and plenty of stuff to collect. The game’s been out on Steam for almost a year now, and it’s heading to Xbox One and PS4 next month. The Switch version is on track to come out later this year. The main story campaign will challenge you to explore various levels to complete tasks. You’ll need to collect stamps to progress toward fighting the various bosses. Some of these tasks include delivering packages on time or racing against some enemies on a track. With various ways to customize your box, you’ll want to search out all of the collectibles to buy new items. With games like Yooka-Laylee and Super Mario Odyssey, it’s great to see a resurgence in the 3D platforming genre. Hopefully Unbox delivers! Retro without the rose-tinted glasses – The game stands as a love letter to ’90s platformers, whilst using power of UE4 to create the best possible challenges. 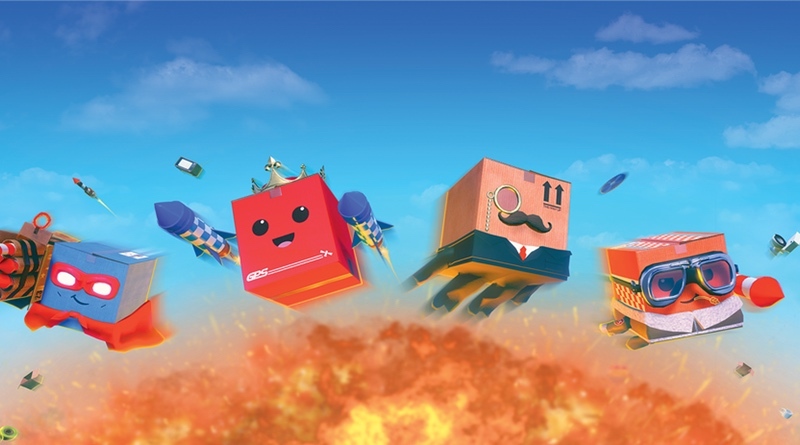 New mechanics – New mechanics – The boxes have a unique power; they can “Unbox” to jump in mid-air, each time shedding a cardboard layer and shrinking in size. No platform is out of reach! Customization – Dress to impress with a variety of boxes, hats, clothing and accessories, with anything from sunglasses to a fez hat.